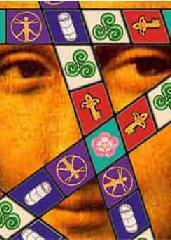 Please scroll down to see more photos of The Da Vinci Game, as well as a description of the game. Both photos and the description are for publicity purposes and if you are selling or promoting the game, please use them as you wish. Click any of these images for a close-up. 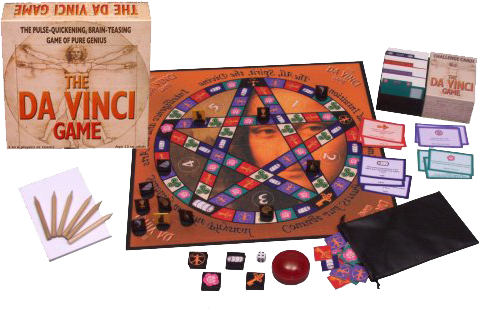 This highly original and entertaining game is inspired by the codes and symbolism used by Leonardo Da Vinci, the secret society of the Priory de Sion and numerous books that have been written on the subject. 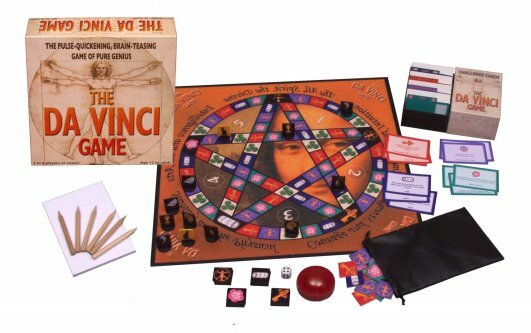 The Da Vinci Game challenges players to solve all manner of ingenious puzzles, riddles, logic problems and codes, 800 in all, in a thrilling race against both the clock and the other players. 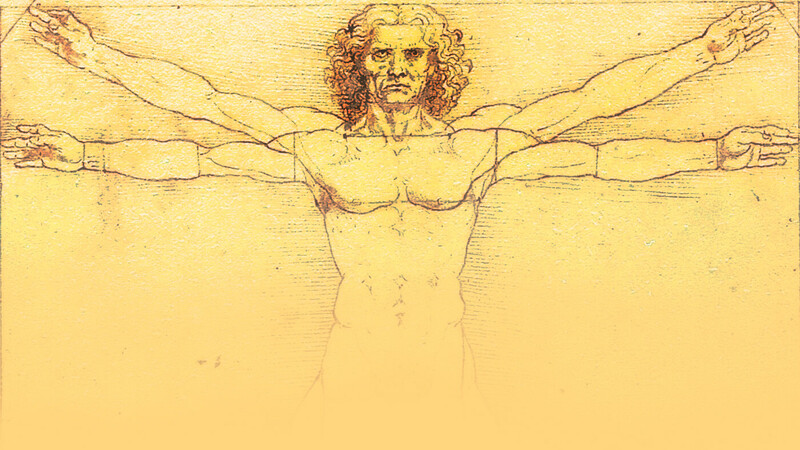 Unravel the riddles of the Codex, discover exciting places in the poetry of the Rose clues, tease your brain with the Logic Key ciphers and decipher anagrams of inspirational people and their work with the Vitruvian Man. Mental agility, shrewd tactics and a little bit of luck will all be needed and fortunes can change in the blink of an eye. 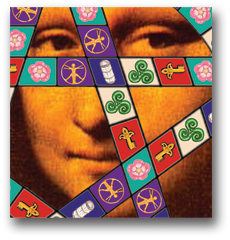 Gather the four pieces of treasure and return to the Ankh space to face and conquer one final challenge to become the Grand Master of The Da Vinci Game.